Running in New Orleans, Louisiana. Best routes and places to run. New Orleans is one of the more unique cities in the United States. The city on the Mississippi River is world-famous for its plenitude of unique architectural styles, which reflect the city’s historical roots and multicultural heritage. Its historic districts remain largely intact and are a popular tourist attraction. Known as the “Big Easy,” New Orleans is also known for its elegant galleries and restaurants, scenic shops of the Riverwalk esplanade and America’s greatest river, the Aquarium of the Americas, cobbled courtyards, wrought-iron balconies, and stucco walls. 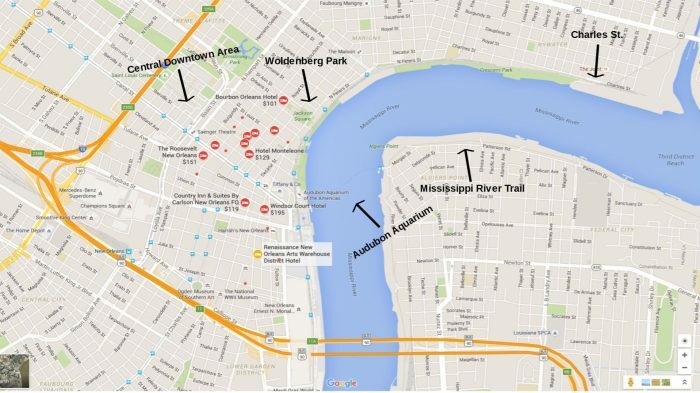 This is our guide to the best places to go running in New Orleans, Louisiana. There are some good running options in New Orleans. 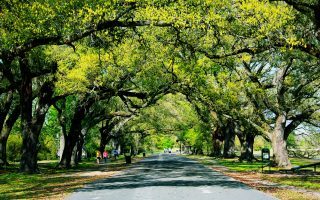 There are paths along the Mississippi River, beautiful parks with graceful southern foliage, a pleasant run in the Garden District, and unique paths such as the Levee. 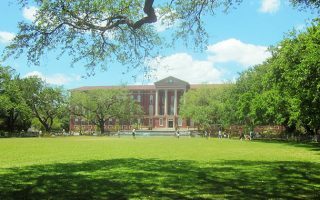 The heart of New Orleans running focuses on the river paths near the Audubon Aquarium, out St. Charles St. and into the Garden District, and the Audubon Park/Tulane University area. 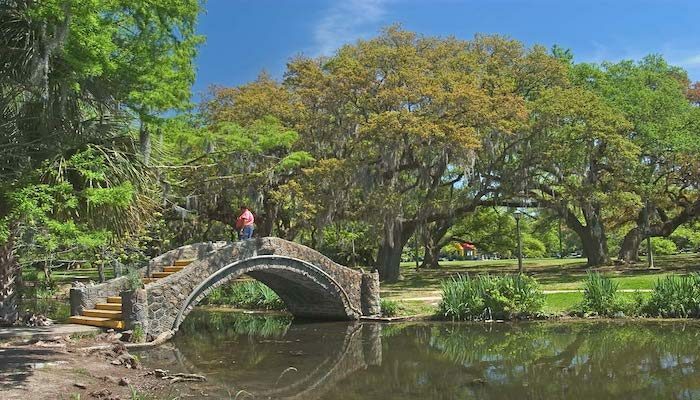 City Park is a running oasis about 4 miles north of the French Quarter. One can also run through the streets and architectural wonders of the French Quarter, but proscribing a particular run is a challenge and the area tends to get very crowded. A brand new 2.5 mile bike/pedestrian trail, the Lafitte Greenway, now connects the French Quarter to City Park, paralleling Canal St. Running on Canal St., the heart of the downtown commercial area, is not so hot. And speaking of heat, New Orleans is famous for its heat and humidity, so be wary in the summer months. One of the most popular routes for running in New Orleans. 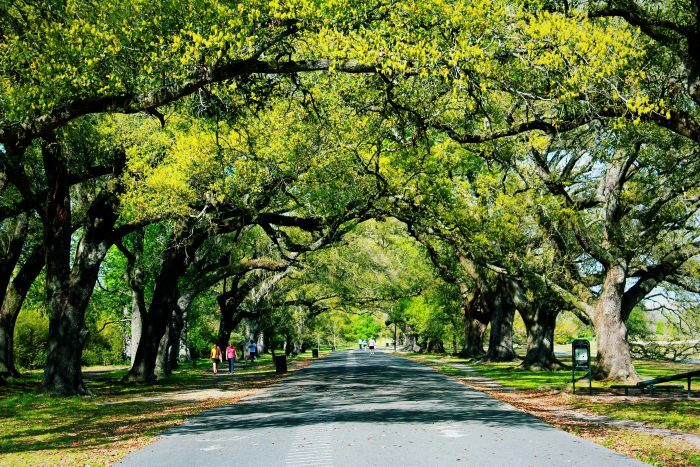 Upwards of 3,000 people run under a leafy canopy of live oaks and alongside a little lagoon, each day. 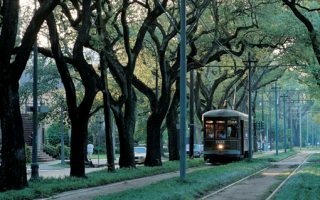 Home to the St. Charles streetcar line, trolley Cars run down the middle of this shady avenue, and past some of New Orleans oldest, most elegant homes. 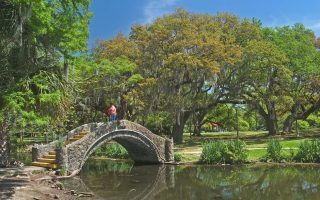 Known to be “as magical and unique as the city of New Orleans,” this outdoor oasis has enchanted New Orleans since 1854. If you’re looking for a path along the water, the Lakefront route runs along Lakeshore Drive. 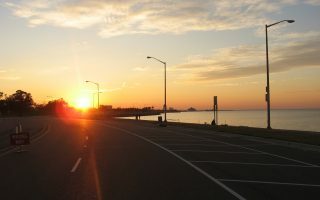 Enjoy the warm breezes of Lake Pontchartrain. 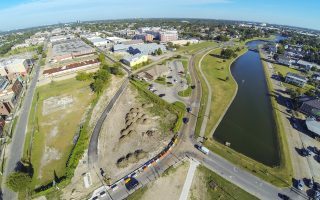 A new 2.5 mile bike/pedestrian path that opened in 2015, connecting the French Quarter with City Park. Wind your way through several historic New Orleans neighborhoods. A nice 5.3 miles, the Levee Path, just across the water from downtown, is a great dedicated trail option for runners along the Mississippi River. A very popular place for weddings, the beautiful Woldenberg Park lies directly next to the Mississippi River. A lovely run around a beautiful urban campus, plus add-ons in the surrounding area. New Orleans has a humid subtropical climate. Winters are mild, and great for running. Summers are about as hot and humid as it gets. Temperatures in summer exceed 90 almost daily, and rarely fall below 70. 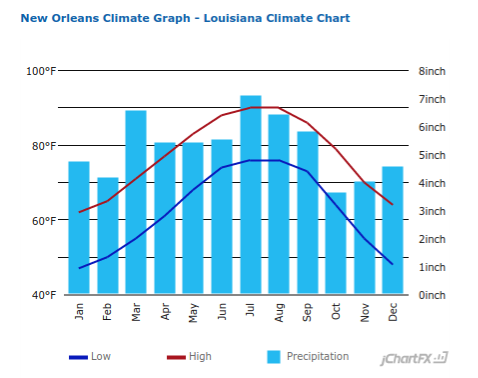 New Orleans gets a boatload of rain, nearly 63 inches annually, with tropical downpours and thunderstorms very frequent in the spring through fall. Be aware of the weather and hydrate. Several of New Orleans top notch hotels are located in the downtown area, and near the French Quarter. 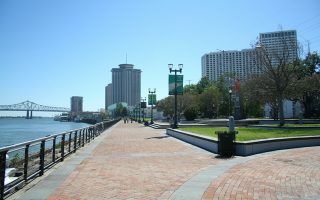 Closer to the Mississippi is the Hilton New Orleans Riverside – known for its high tech business center, river views, and the large Rivercenter Racquet and health club. Louisiana Running Company – For information on group runs and events, see The Louisiana Running Company Events Calendar. Southern Runner – Group runs Tuesdays and Thursdays at 6:30PM. Leaves from store location. Varsity Sports (New Orleans Location) – Group runs Saturdays at 7:00AM. Leaves from store location. New Orleans has a vibrant running scene, with a 5k nearly every weekend. Crescent City Classic. April. 10k. Big Easy Running Festival. November. Half marathon and 5k. Celebration in The Oaks Run. December. 2 miles. Popular holiday run.